After we arrive in Kenya at 6.30AM(!!!) we begin our honeymoon & our greatest adventure to date at the beautiful Southern Palms Hotel, we stay there for our first night then its on to SAFARI!!! We have 3 nights on Safari staying at 3 different lodges and then a return journey to the Southern Palms for a 6 night stay at this glorious beach resort. "We are situated along the beautiful white sandy shores of the Indian Ocean at Diani Beach, 35 Km South of Mombasa. Our 4 star Beach Resort has a unique blend of traditional Swahili and Arabic architecture. The property spreads over 10 acres of mature tropical gardens and coconut palms with facilities that are truly "world class standards" 298 air conditioned rooms including 2 "luxury suites" will ensure a comfortable stay at all time. 2 free form swimming pools, probably the largest in Eastern Africa, add a unique feeling of space and majesty to our Resort! The environment is of utmost importance to us and every effort is made to ensure that our beautiful coastal scenery remains unspoilt for years to come! Our commitment to excellence is absolute!" All the spacious ensuite rooms have their own verandas, some overlooking the waterhole, some the Chyulu Hills, which are one of the world's youngest volcanic ranges. As for activities, the lodge offers numerous game drives, guided walks, bush breakfasts, volcano climbs and trips to Mzima Springs, a set of crystal-clear ponds, fed by the melt waters of Mount Kilimanjaro, in which the many hippos can be viewed from a submerged chamber." Secluded within a grove of acacia trees, the lodge looks out over the golden savannah plains, with uninterrupted views of the mountain itself. Close by are a series of emerald green swamps, which are fed by the melting snows of Kilimanjaro. These, the only sources of water in this otherwise starkly beautiful but arid park, attract huge numbers of wallowing elephants, hippos, buffalos and plains game. Meanwhile, from the prehistoric site of Observation Hill, the sunset over Kilimanjaro is magnificent." 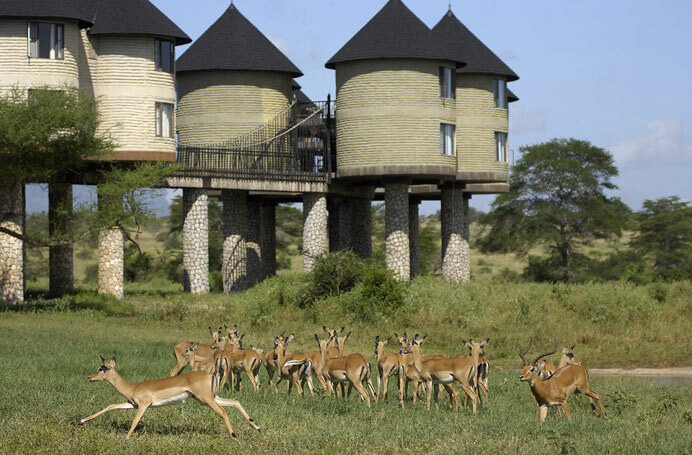 "Sarova Salt Lick Game Lodge offers an unparalleled safari experience. The entire lodge is raised on high stilts above watering holes and feeding pastures offering a spectacular view of the wildlife from above and all around. 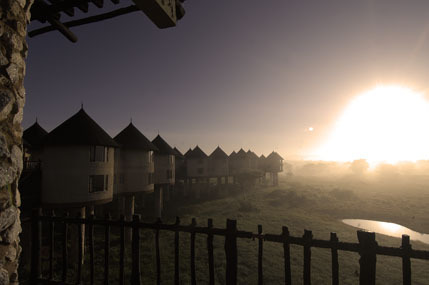 The Lodge is situated in the midst of the Taita Hills Sanctuary, a private wildlife conservancy of 28,000 acres at the foot of the Taita Hills bordering Tsavo West National Park, one of the world's largest game reserves. 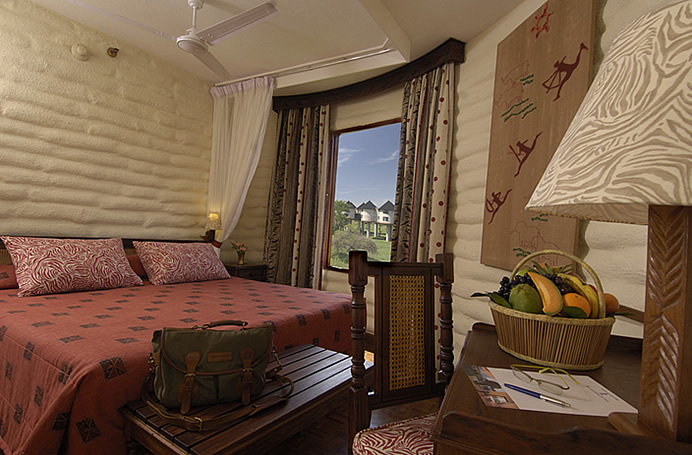 The Sarova Salt Lick Game Lodge offers luxury accommodation and facilities and is the perfect place in an unforgettable setting to explore the natural environment around."